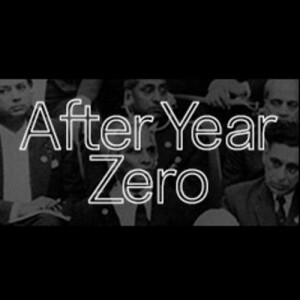 AFTER YEAR ZERO brings this formation up against the first Asian-African conference, held in Bandung almost simultaneously with the opening of the Congress Hall, at which a model was drafted for collaboration by the global South under the banner of an anticolonial modern era. Bandung positioned itself ideologically not in relationship to the Iron Curtain, but rather to the “Color Curtain” (the title of Richard Wright’s report on the conference). GEOGRAPHIES OF COLLABORATION in turn begins with the question of the claim to universalism. It seeks a new formulation, from various locations and perspectives, for the pursuit and assertion of universality today. The second part of the conference will be held on November 23 and 24. The project AFTER YEAR ZERO is based on a series of workshops, that took place in 2012 in Algier, Dakar, Paris and Johannesburg under the title „Matters of Collaboration“ , in co-operation with Goethe-Institut Brüssel, funded by the Excellence programme of the Goethe-Institut.